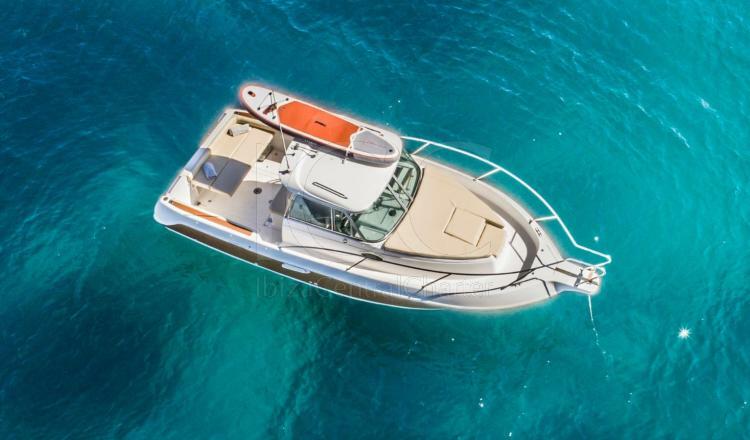 This Faeton Moraga 780 was designed for those who seek the balance between a yacht with cabin and the spaciousness of a comfortable and spacious aft cockpit. 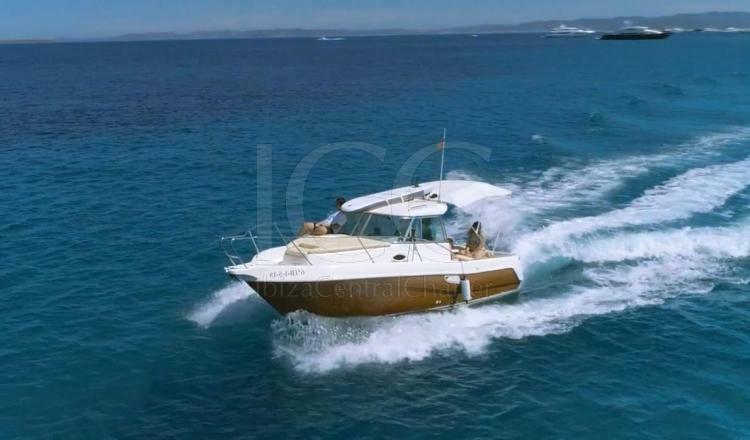 The motorboat Faeton Moraga 780 has a length of almost 8 meters and offers enough capacity for a group of up to 8 people to enjoy an unforgettable experience. 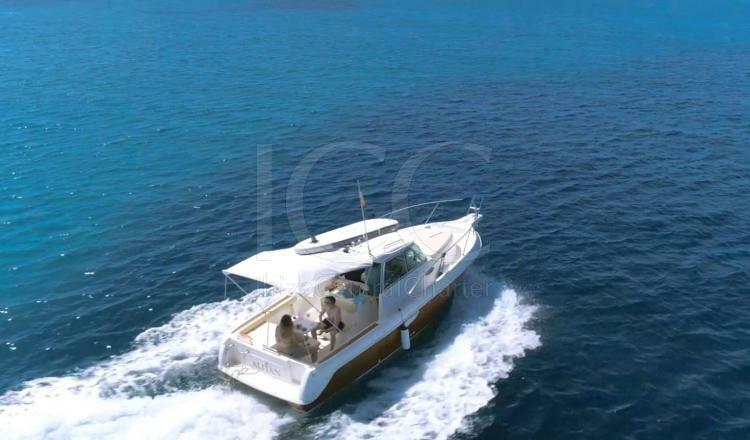 Its design perfectly combines safety and comfort on board the boat. Its generous chaste V makes this pose with greater stability on the water and therefore experience a feeling of navigation much more comfortable and relaxed. 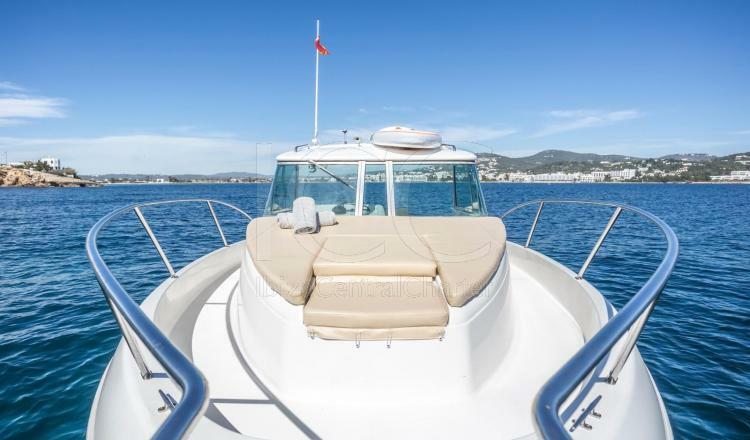 The open stern bar and wide windows maximize its possibilities of use both in summer and winter. 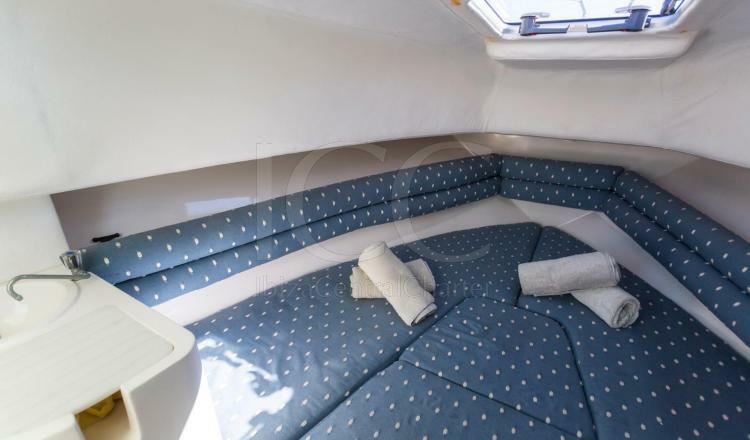 The bow area is equipped with a large solarium ideal for relaxing and aft has comfortable seats. The access between both areas is made through wide lateral corridors. 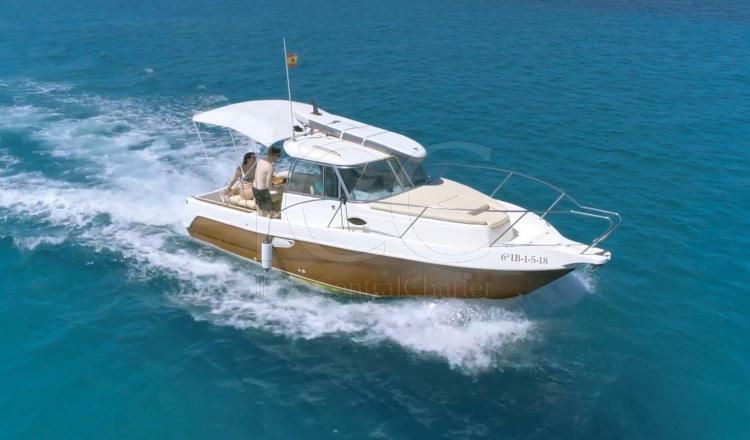 Faeton Moraga 780 has excellent navigation features with minimal consumption and maintenance. 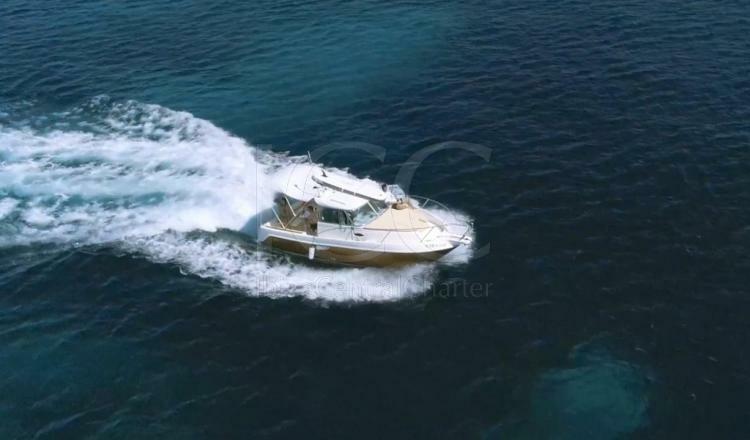 This boat will undoubtedly make your family vacation a wonderful experience. *Catering service is also available on request. Complete refund of booking 1 month prior to charter day.